Help us take our innovative piece of immersive verbatim theatre to the Edinburgh Fringe Festival. We're aiming to raise a minimum of £600 to take our show 'A Clock Face Exhibition' to this years Edinburgh Fringe Festival. The show is an immersive dip into the lives of six recovering addicts. The writing features excerpts from verbatim interviews, that have been creatively arranged in verse. Set in the present and told in the format of a Cocaine Anonymous meeting, the show invites the audience to become both spectator and participant. We aspire to highlight the ugly realities of addiction, which has guided some of our previous audience members to realise their own struggles and inspired them to seek help. 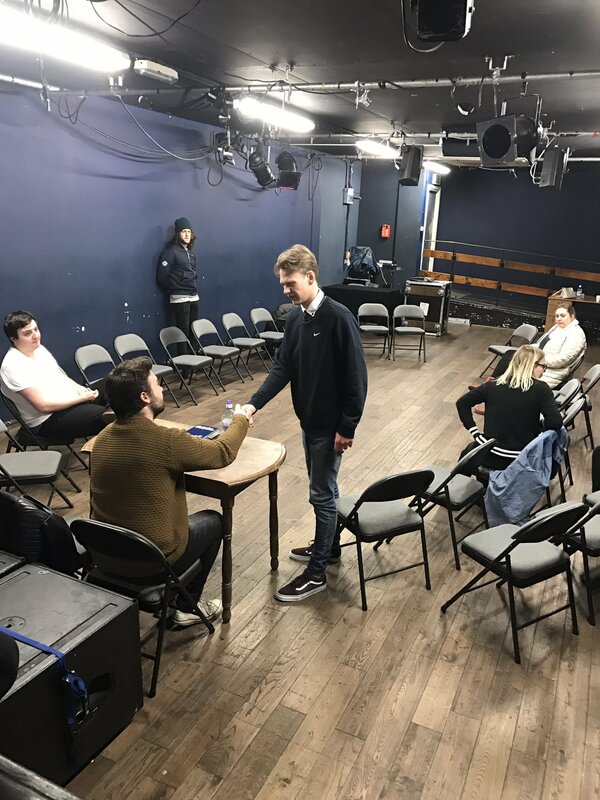 Performing at the Edinburgh Fringe Festival opens the door to reach a wider audience and gives us the opportunity to address the stigmas that come with addiction. 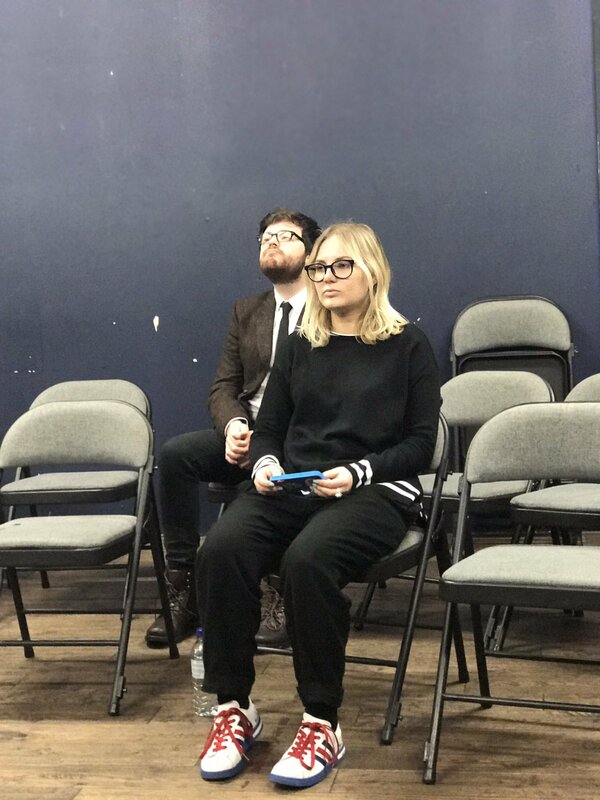 We are all members of the production company 'Brass Budgie Productions', through which we intend to deliver passionate pieces of work that tackle the human condition via the mediums of theatre and film. In the summer of 2016 the show had a sell-out run at the Rabbit Hole Theatre during the Camden Fringe. During this run, Heather Jeffery of London Pub Theatres highly praised the show, stating: "the writing is poetic, clean and clear," and that "the stories themselves are revelations." In her review she also gives praise to the actors performance, calling it "impeccably acted," and deciding: "the strength of the piece; it is possible to empathise with the characters." The show was also featured in This Week London's "Top 3 To See" article and Londonist's "9 Shows To See At Camden Fringe". More recently, the show has just finished a week long run at The Courtyard Theatre in London, making another profit and receiving further praise. The show will also see a performance at this year's Southend Fringe Festival on June 16th. This show began as a project for East 15 Acting School's devising festival. We are all graduating students of the school. In its earliest form the show had a run time of 15 minutes and was later extended to 45 minutes, after encouragement from audience members who believed the content was relatable and would succeed in captivating larger audiences. We feel that we have a moral responsibility to share these stories, presenting them in a way that is not only sensitive, but honest. We all know someone who is struggling with addiction, whether we are aware of their battle or not. By donating you'll give us the opportunity to enhance the impact that our show could have. We will be performing as part of the Free Fringe, meaning that we likely won't make any profit and your donations will help us to fund this project. By hitting our full target, we will be able to afford our registration fee, marketing costs, travel costs, and living costs for the company whilst in Edinburgh. If we surpass our target, then extra funds will be reinvested back into the company for future projects. One upcoming project which would benefit from any extra funds is our 'To Finally Feel' production, showing in London this October. Keep up to date by following Brass Budgie Productions on our social media! Please give anything you can, all donations are greatly appreciated. An official Edinburgh Fringe Clock Face poster. An official Edinburgh Fringe Clock Face poster signed by the cast. An official Edinburgh Fringe Clock Face poster signed by the cast and a personal letter of thanks. An official Clock Face t-shirt. An official Clock Face t-shirt, poster and signed photo of the cast. An original framed poem (written by Georgie De Suys), an official Clock Face t-shirt, signed poster, signed photo of the cast and personal letter of thanks.